Have you driven a 1988 Jeep Comanche? Displaying 1 - 10 of 14 1988 Jeep Comanche reviews. Great Truck Very Reliable Easy To Work On — All cometic stuff that need attention. Pros: Good new brakes very good transmission tight clutch great headlight very comfortable. Cons: Not best handling no ac no radio small dents in side of truck door leaks needs new tires. Reliable Like A Vehicle Should Be — Performance is more than adequate, handles very good for a lifted vehicke, and still tows plenty. Build quality is excellent, but don't get the 5 speed til 1990, also opt for the 4.0, you'll be glad you did. Appearance is 80's obviously, yet plenty modern enough. Mileage is the only place it really suffers, between 12 and 16 average. Maintenance is cheap and they are fairly cheap and easy to modify. It is alot of fun to drive, both on and off road. Pros: Go anywhere, do anything. Wish I Could Resurrect It.... — Awesome Truck! Awesome acceleration for a jeep/little truck. 5spd was great! light rear end made it fun! 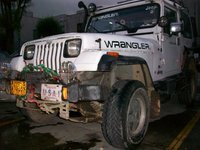 Any old jeep had unmatched quality, but also it was handled with care. Good appearance, lines were great, but the paint was a little faded... who cares! WICKED FUN to drive! 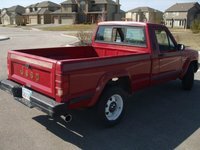 88 Comanche — Its an overall awesome truck. A good daily driver and a good off roader. Not much maintenance need other than minor things. Gas mileage is around 10MPG. Its alot of fun to drive being a little bigger than most. Being able to take it off road and use it for a work truck is a great advantage. My 1st Vehicle — My first vehicle, grandfather got me this when I was in high school. It was his old truck and he passed it on to me. 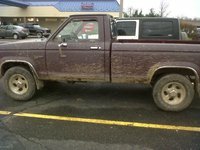 I loved this truck, it was the first time I went off-road and it was the first vehicle I hit 96 MPH in. Amazing handling, but the body was starting to fall apart. It got decent mileage, but didn't have much power, I believe it was a large 4 cylinder or small 6. Developed a persistent problem of not wanting to start at random times. When the tie-rods went out my dad made me give it back to my grandfather. My uncle owns it now and he fixed it up and drives it to work every day. Great Vehicle — This is a solidly built piece of history. Extremely durable light truck. Getting harder to find. Great on and off road performance. Ample braking and acceleration. Everyone that has driven it has had a blast drive it on and off road. 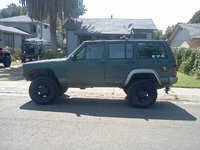 Wicked Jkeep — mines 2wd 4clynder gunna be a 5 sspeed it axccelerates pretty good and is awsome off road never cost me anything, good on gas and rtons of fun to drive. only problem is that over 20 years they rust pretty bad. 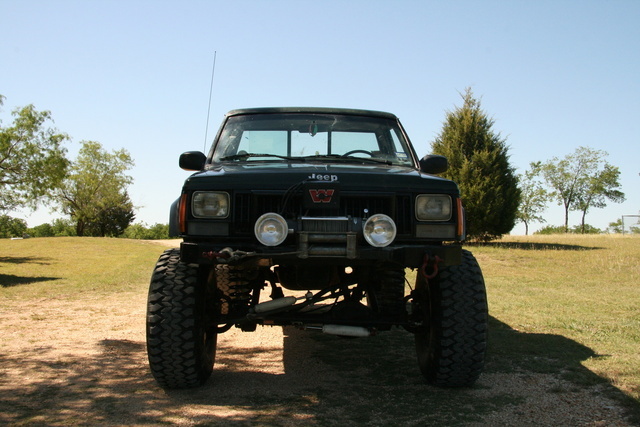 '88 Jeep Commanche — Had the 2wd version, and even at that it would go through anything!! It LOVED the snow and was responsive to both throttle control and steering! It was the sport version, with a quality sound system and road noise sound proofing. It was not built with extended cab and I am sure that is the only reason it did not take off. Good Truck — Good performance, mileage. Reliable, cheap transportation. Easy to maintain. Cons: It's old, but that's not bad. Looking for a Used Comanche in your area? CarGurus has 9 nationwide Comanche listings and the tools to find you a great deal.